The old „gothic” letters read and written once again, with: nib, stick, brush, calligraphy marker, parallel. Classic/design. The course for the beginners and very advanced students. You will be proud of your work! 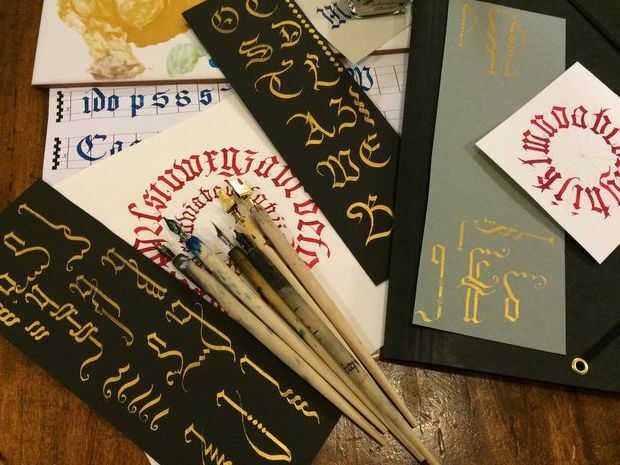 We will be able to design and create an original, unique work while using the old technique of palimpsest (new text on an old text) and modern caligraffiti. 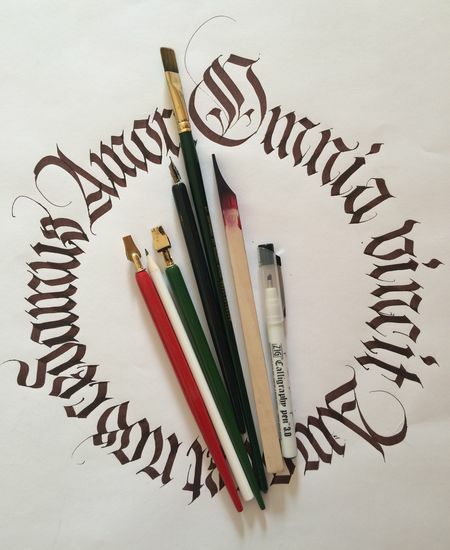 Workshops designed for both beginners and advanced in the fine art of calligraphy. 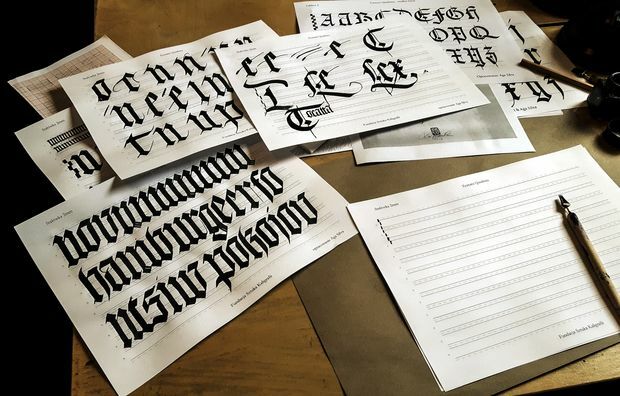 Schedule of Stay: Saturday to Sunday – group arrives, getting familiar with the monastery and Perugia, Monday to Friday (9.30 AM – 1.30 PM) – Calligraphy Workshops, Saturday – departure. 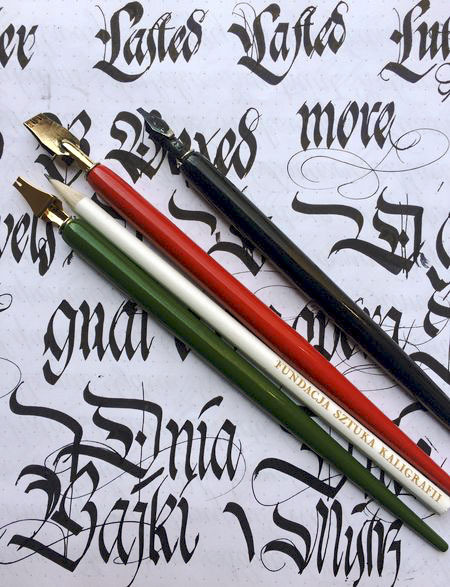 Agnieszka Śliwa - architect, calligrapher, font designer. Gratuated from Cracow University of Technology in architecture. She has been working in Ireland in Toomey Architects, Anthony Reddy Associates, DMOD Architects. Mrs. Śliwa has been interested in lettering for many years, since 2011 she is occuppied with calligraphy and designing fonts under Aga Silva name. Currenly she works and lives in Krakow. Since 2012 she has been cooperating with 2 Worlds Gallery and The Art of Calligraphy Foundation.